The chairman of the University System of Maryland Board of Regents is stepping down amid calls for his ouster after the board recommended the University of Maryland retain head football coach DJ Durkin. "In recent days, I have become the public face of both the board and its decisions related to these matters," Chairman James Brady said in a statement Thursday. "In my estimation, my continued presence on the board will inhibit its ability to move Maryland’s higher education agenda forward. And I have no interest in serving as a distraction from that important work." Brady announced the recommendation to keep Durkin during a news conference Tuesday about the results of an independent investigation into the culture of the UMD football program. The investigation followed the June 13 death of 19-year-old Jordan McNair, an offensive lineman who collapsed from heatstroke during a workout two weeks before he died. The office of university President Wallace Loh confirmed to NBC News' Tom Costello Wednesday evening that Durkin's contract was bought out and he will not return to the sidelines. Murphy also had said Brady should be fired. In the statement announcing his resignation, Brady said he is proud of how the Board of Regents responded to McNair's death. "From the beginning, we were determined to get all the facts before making the judgments and decisions we believed were in the best interest of the University of Maryland, College Park and its student-athletes," he said. "We hoped the lessons we would learn would positively affect student-athletes at universities across the system, the state and the nation." He also acknowledged those on the board who disagreed with the majority of the board. "I understand that reasonable people could come to other conclusions," he said. "And even among our board, some did. " At Tuesday's Board of Regents news conference, Loh announced he would retire in June. Many perceived it as a forced retirement for Loh. Gov. 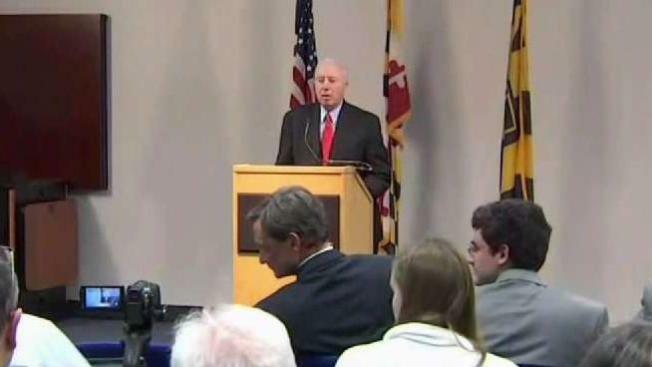 Larry Hogan, who appointed Brady, said they need to consider keeping Loh on at the university. The investigation found serious problems with the program that need serious reforms. Loh said plans for reform would be shared in the near future. In the wake of McNair's death, an ESPN story found the culture of the program to be "toxic." The University System of Maryland Board of Regents subsequently hired the team to investigate the charges. Rick Court, the head of strength and conditioning for the team when McNair collapsed, resigned Aug. 13. The report said there were many occasions in which Court engaged in "abusive conduct" during his time at Maryland. Durkin was placed on leave Aug. 11. Offensive coordinator Matt Canada is serving as interim coach for the 5-3 Terrapins.